Child-friendly? There's certainly plenty of tongue-in-cheek adult humor to be found in between the lines of "Parental Guidance," but overall it's a family-friendly flick with laughs for everyone, from grandkids to grandparents. 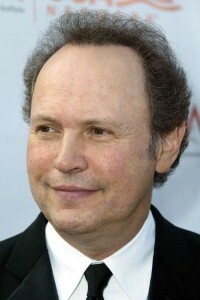 Oh man, Billy Crystal is playing a grandfather? That's not a good sign for the rest of us. I guess this means we're all a little older than we thought… and hoped. But I digress. Just like Robert DeNiro before him, Crystal has been dusted off and thrown into the role of an aging Hollywood star in a family film. But while DeNiro got to be a cantankerous former spy/disapproving father-in-law alongside Ben Stiller in "Meet the Parents," Crystal falls into a far tamer film next to the prehistoric Bette Midler. And all the wind beneath Midler's wings couldn't even begin to get "Parental Guidance" off the ground. Yeah, I went there. You've heard this incredibly overdone story before, but for the sake of posterity, I'll take you through it anyway. Crystal plays no-nonsense grandfather Artie Decker, while Midler is cast as the overbearing grandmother, Diane. Now entering their golden years, Artie and Diane's daughter Alice (Marisa Tomei – another actor hopping on the family-film road to Hollywood retirement) has grown up, married husband Phil (Tom Everett Scott) and had three 21st-century children: Harper, Turner and Barker. So when workaholics Alice and Phil have to go away for a professional event, old-school Artie and Diane agree to watch their tech-savvy grandkids for the weekend. Needless to say, there's a pretty wide generation gap between grandparents and grandchildren here, and Crystal essentially plays that guy who tells the neighborhood kids to "Get off my lawn!" – except the kids are his family and the lawn is an iPad. Throw in a couple of variations of "Back in my day" and "Kids these days" and you're essentially looking at all the lame, age-related jokes "Parental Guidance" has to offer. DeNiro got to polygraph and instill parental terror in Stiller during "Meet the Parents," but all Crystal gets to do is complain about MTV and Facebook. Throw in a great big family hug, and that's basically the sappy gist of "Parental Guidance." Family-friendly? There's no doubt that this is one of the family-friendliest films of the holiday season, but it's also one of the lamest, most stereotypical and least funny. Chances are, your kids will walk out of the theater with a few giggles about how silly grownups can be – and that's it.